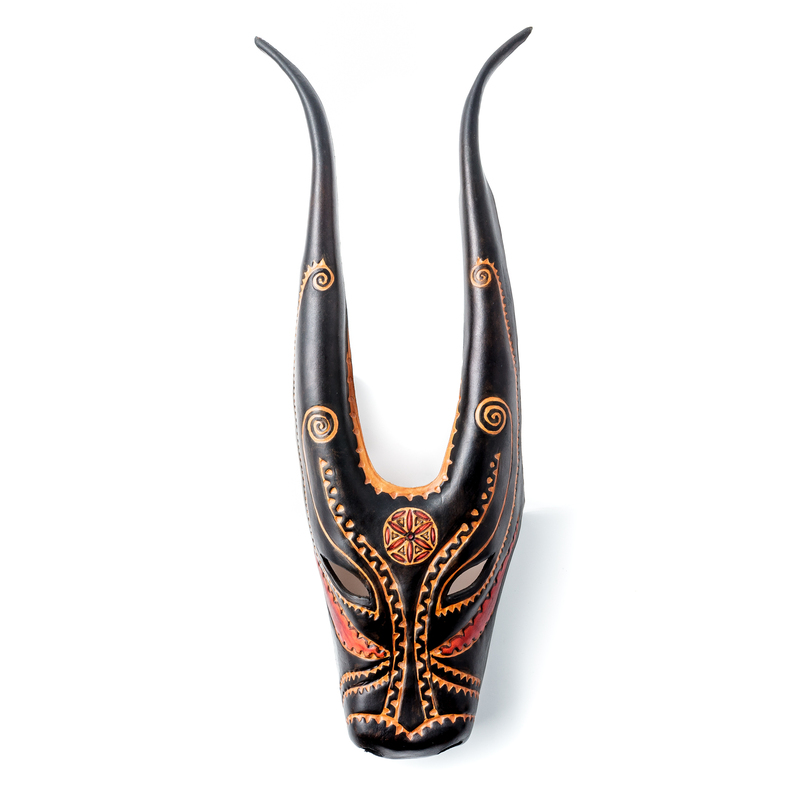 The Su Boe mask, a distinctive traditional Carnival mask of Ottana, features its frightening and elegant beauty, a great study of the animal features, the ox, that becomes the object of worship in the performance of a magic ritual. 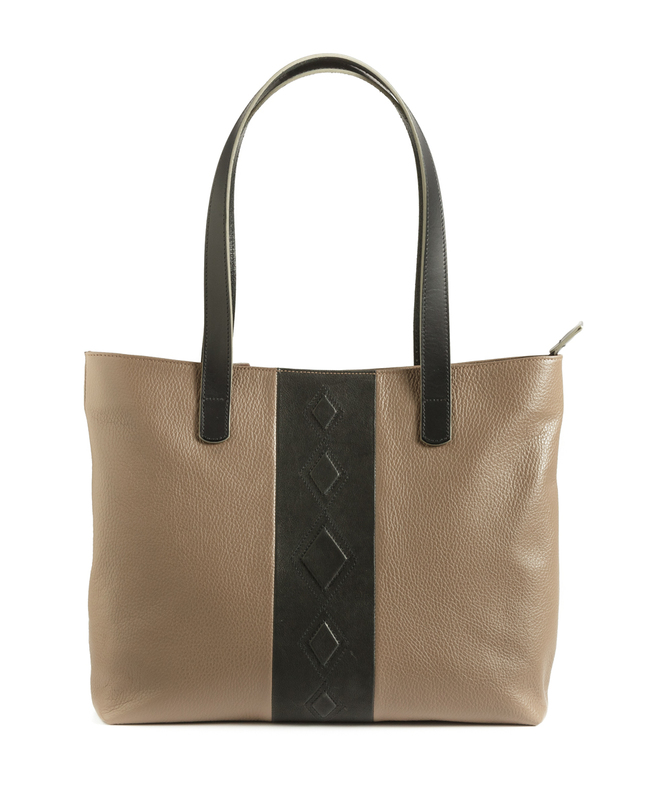 Hand-made shoulder strap leather bag, decorated with small diamond-shaped motifs, inspired by Sardinian textile tradition. Being elegant and large, it is a perfect professional bag to carry laptops and tablets. 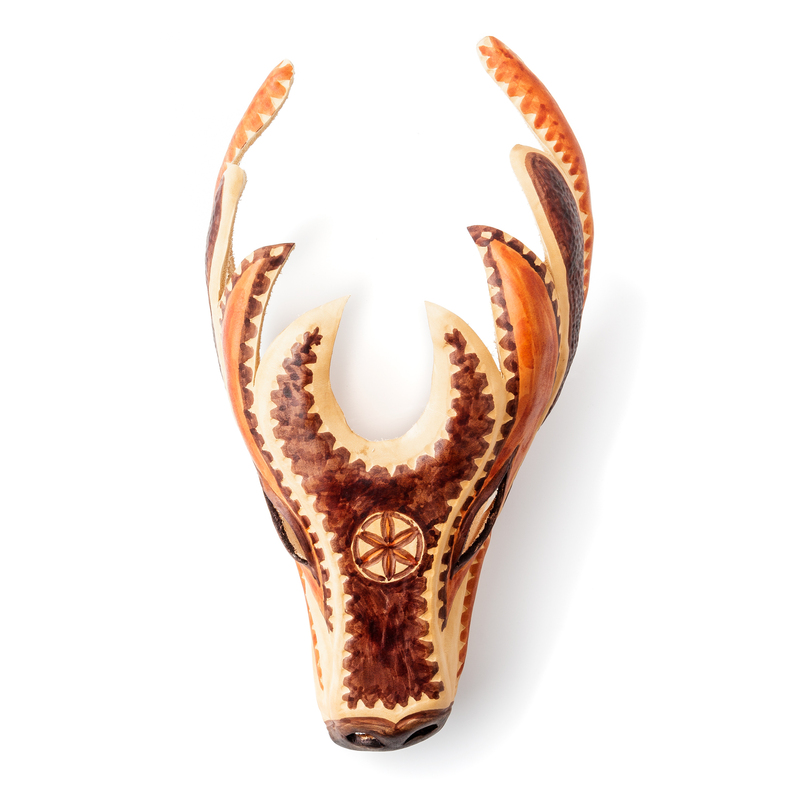 With its elegant great horns, the deer, Su Cherbu, a traditional Carnival mask of Ottana, offers the figure of animal in a magical and ritual reinterpretation. 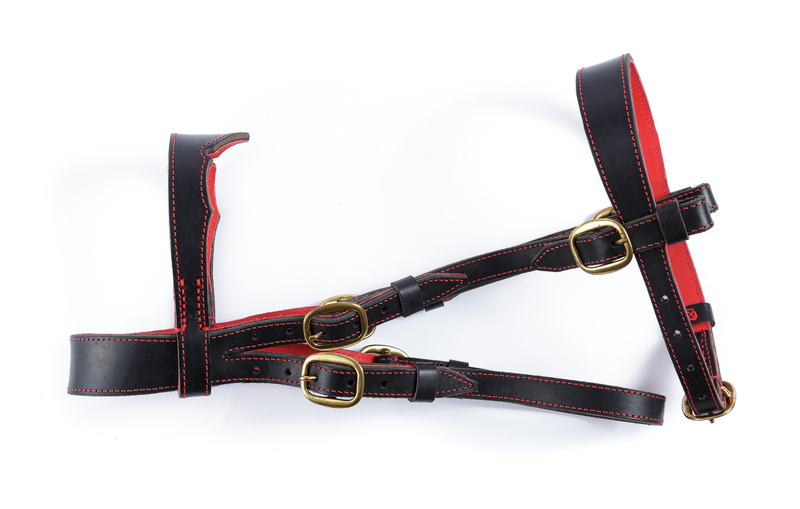 Bridle made of black leather with contrasting red stitching and buckles to adjust the size. Skilfully handcrafted, it is produced in combination with other saddlery such as various bridles and stirrup leathers. 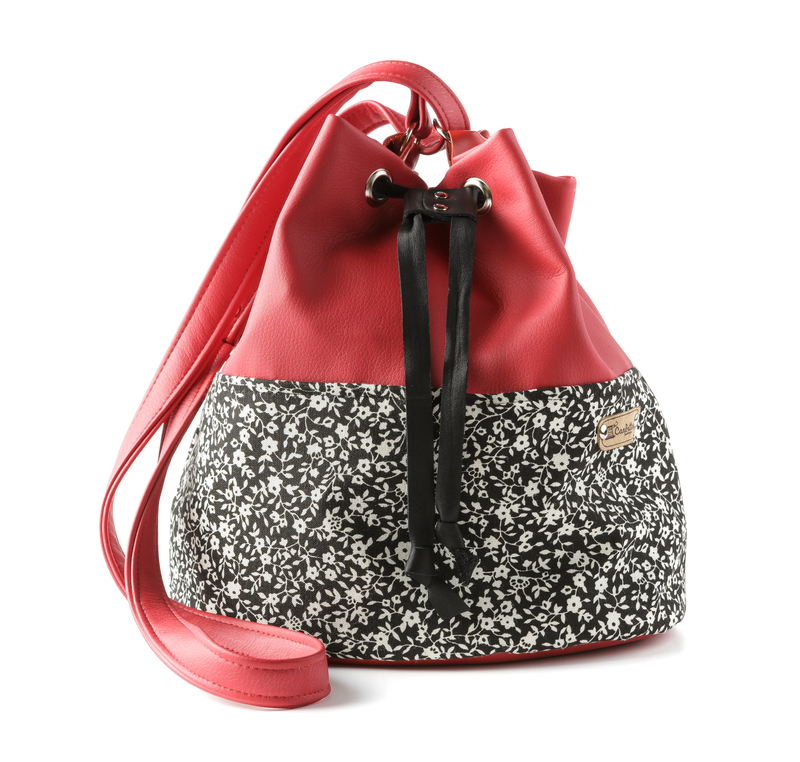 Puff is a handy, useful large bucket bag, crafted with an exclusive combination of high-quality synthetic materials and in limited-edition pattern prints. With ever-changing distinctive details, two versions are available: 100% leather and 100% synthetic leather. In the past, tanning and leathercraft in Sardinia resulted in the creation of valuable works, such as the manufacturing of equestrian products and traditional clothing accessories. Being imbued with a strong local identity, these productions are evocative of rural contexts and are the symbol of the legacy of a unique craftsmanship. Contemporary productions are open to experimental practicss which meet the needs of increasingly demanding contexts, focusing on a careful and unique craft.